Huawei P8 review | What Hi-Fi? You may not have heard of Huawei (that’s ‘hwah-way’, not Hawaii), but you’ve probably crossed paths before. The Chinese firm is actually the world’s largest telecommunications company, having overtaken Sweden’s Ericsson in 2012. Its most common products are wireless routers and mobile internet dongles, but now it is heading west with a mission to break into the highly competitive smartphone market. Huawei has made attempts before, with little success. 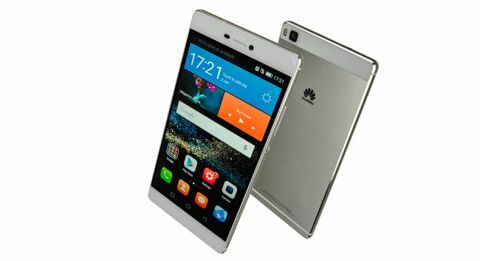 Now it’s having another go with its latest flagship model the Huawei P8. But how do you take on a market that’s never heard of you and can’t pronounce your name? Simple: do what Apple does, but sell it for less. Nearly everything about the Huawei P8 has been, let’s just say, inspired by Apple. Which is a little odd, seeing as it’s an Android phone deep down. The result is a delightful curiosity. The influences are so evident that the P8 might have grown up with a poster of the Apple iPhone 5 on its wall. It’s a slender slab of glass and aluminium with a luxurious vibe, looking and feeling more expensive than it is. If you want to save some money but still carry around something respectable-looking, this will do very nicely. The software, EmotionUI, tweaks Android Lollipop 5.0 to within an inch of its life. Huawei has tried its best to replicate the look and feel of an Apple iPhone, to the extent of removing the Android app drawer entirely. All your apps must be on the main screen, in a grid. While recent defectors will love this, fans of stock Android will not be so impressed. And yet, it’s not an iPhone. The closed-off unibody design means there’s no way to remove the back and change the battery, but Huawei has followed the Android tradition of including a microSD card slot. That lets you expand the internal memory by an extra 128GB. The more expensive models of the Huawei P8 go a little further, allowing the microSD card slot to double up as a second SIM slot. Huawei is targeting the jetsetting crowd who may need multiple SIMs. We got the standard model, so we insert a memory card full of music and movies. For the money, the picture and sound performance are good. The 5.2in screen is Full HD and not Quad HD, but it’s sharp enough that you won’t care. Colours are vibrant, going for eye-catching over realism, but staying accurate enough to be convincing. You can also tweak the balance a bit, thanks to a temperature slider in Settings. Contrast is the one area that keeps the Huawei from reaching the same level as the class-leading Samsung Galaxy S6 or LG G4. Blacks aren’t as dark as we’d like, and whites fall short of brilliant. It’s perfectly watchable, however. The sound also falls just short of its rivals, but it’s good enough to keep us from being disappointed. Timing is decent, as is detail definition. It gets loud enough, and also accepts hi-res tracks. Not that they make much of a difference, however – hi-res or not, the Samsung Galaxy S6 offers more detail and refinement, while the Apple iPhone 6 slams harder. The camera is one of the phone’s stronger points, and the quality of its 13-megapixel snapper with an f/2 lens and optical image stabilisation comes as a nice surprise. The trick up Huawei’s sleeve is the world’s first (they say) RGBW sensor. That means the red, green and blue sub-pixels are joined by a white one, which means the camera can take in more light. The results are good, with metering and processing both effective. Again, the LG G4 is a step ahead in detail and subtlety, but the Huawei takes good shots with little effort. There are also modes to play with, such as ‘light painting’, which lets you paint light trails in photos. Passing cars appear as streams of light, while moving water looks silky smooth. It’s fun, though perhaps has a limited appeal. Powering all of this is Huawei’s own 64-bit, 2GHz octa-core Kirin 930 CPU, along with 3GB of RAM. It’s fast and stable enough, but not up to the Samsung Galaxy S6’s lightning loading speeds. The built-in 2690mAh lasted us only seven hours on our 720p video loop test, but normal usage easily got us through a whole day. For the money, the Huawei P8 is a success. You get looks, features and a performance that is just about comparable with some of the big names. It’s not perfect but if you’re looking for a good multimedia device that can save you some cash, it’s worth investigating.